Any modern marketing and PR campaign must be integrated. Integration implies that you will try to have your ‘owned’ (your website, blog, etc. ), earned (media coverage) and paid (advertising) channels working together to reinforce one another as much as possible. In many cases ‘shared’ (online shares) is added to the mix, which when added equates to PESO (paid, earned, shared & owned). In what follows we stick to the first three tracks and count shared with earned. Here is a list oof tools that are available for a marketing and PR campaign in the US. For each campaign you will be making a very unique selection of building blocks. And since you have now been fairly warned about selecting the right market segment, speaking the right language, funding your effort sufficiently and employing the right channels, all of your marketing activities will now be poised to yield the highest possible return. Website with content and style tuned to an American audience (either a U.S. site or American pages on your global site) and plenty of call-to-actions to help people convert through the sales funnel. Blog with articles that depart from the benefits of your products or services as they are relevant to American buyer personas. Newsletter to send out content that is geared towards different buyer personas. Video content aimed at providing valuable information to prospective buyers. Distribution of press releases to American news outlets that serve your target audience and to wire services (e.g., Business Wire) when warranted. Offering interviews to journalists that attend a trade show at which you have a booth. Pitching of stories, on an exclusive basis where practical, to journalists. Press tour whereby you visit the offices of journalists for one-on-one talks (this assumes you are a sizable player in your respective industry or are first-to-market with disruptive technology). Contributed articles to trade magazines. Advertising in print or online media. Promoted content and/or ads on social media. SEA on Google and/or Bing. Sponsored posts (native advertising) / advertorials in print or online media. As mentioned earlier, marketing and PR campaigns that yield the best results are ones that are fully integrated. Pitching interviews on a story in October, promoting posts on Facebook in January and paying for a sponsored article in March can and will have some impact, but they are not nearly as powerful as a fully integrated campaign where you bring everything together in ways that are mutually reinforcing. Let’s illustrate this with an example. Let’s say you have just conducted a survey about a hot issue in your industry. How can you maximize the impact of that survey to increase brand awareness and stimulate lead generation? Owned: You can make the survey report available on your site for people who leave their email address (make sure you respect American CAN-SPAM regulations while you are at it); write a series of blog posts on the results, illustrated by an infographic; dedicate a status update to the survey on your Facebook page; and publish a slide deck on your SlideShare account. Earned: You can send out a release about the survey (after negotiating a scoop with a major tech news outlet or a trade publication if it’s got strong enough news value), pitch interviews with your CEO about the results and use the survey to feed your proof points for a contributed article in a key trade magazine. Paid: Companies will typically not pay to promote a survey, but the buzz that is created by the survey will allow your now ‘primed’ audiences to be extra receptive to any advertising campaign that you would want to run in the months following the campaign. In these two blogs we have discussed what some common mistakes are that European companies that are looking to expand in the US will typically make and what advice these companies should heed if they want to succeed across the pond. The American market is in many regards very different from aThe UK and those entrepreneurs and marketing managers who stick to their UK playbook when arriving in the US will do themselves a huge disservice. 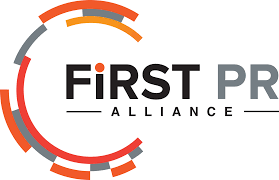 First PR Alliance is a network of independent PR and marketing agencies that offers highly-coordinated support spanning borders, time zones, languages and cultures. For more information, visit firstpralliance.com.